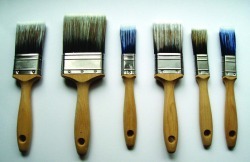 Are you looking for an experienced & reliable Painter & Decorator? AP Decorators (Brighton) are members of the consumer information service Checkatrade. Checkatrade provides a free, independant service to consumers. They supply you, the customer with up to date information on trades and service providers, helping you to make informed decisions on whom you employ. To join, Checkatrade members are vetted then continuously monitored by feedback from their customers, which is then made public. Members also agree to work to the Checkatrade standard.